Sigo Signs makes high quality signs that are designed to last for years without any fading. We test our products thoroughly to insure that they meet the highest quality standards. Our customer service team is on constant call to answer every concern a customer has within 24 hours. 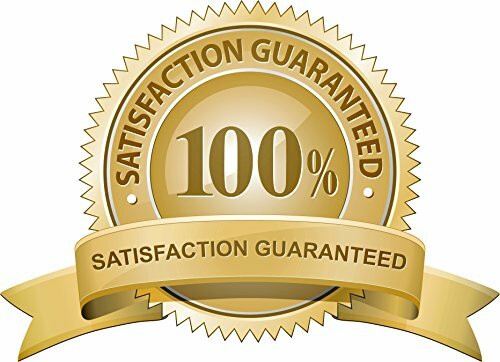 If any customer has an issue we are always happy to replace a sign and of course our signs are covered with a Money Back Guaranteed Policy. 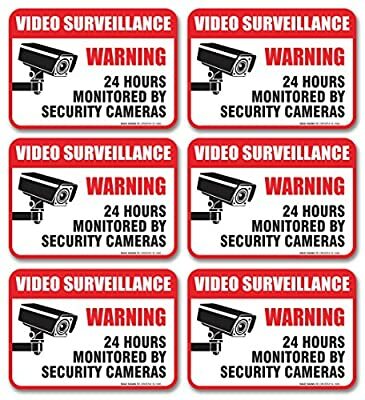 This 6 pack of vinyl decal security surveillance stickers is a sign made with great adhesive glue so they stick without falling off. Its size is 2.5 X 3.5 inches. It is weather resistant and will not fade in rough weather. 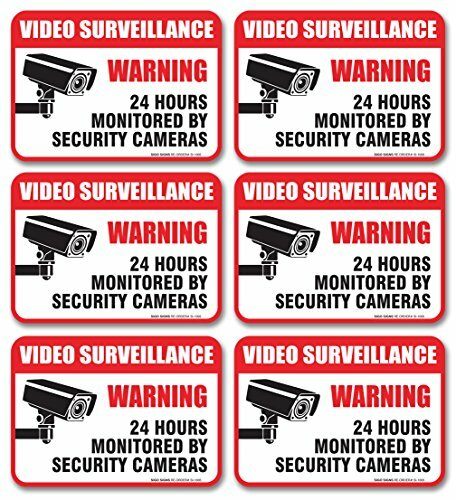 These security surveillance stickers are perfect for home or office protection. 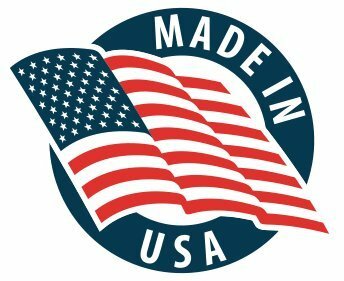 Our signs are all made in the USA and ship within 24 hours to customers.